Best Rated 4K Ultra HD TVs (2018-2019) – This page contains a roundup of all of the top-rated 4K Ultra HD TVs, presented here for a comparison of price, features, and reviews. 4K Ultra HD TVs have 4 times the resolution of the best 1080p Full HD TVs. 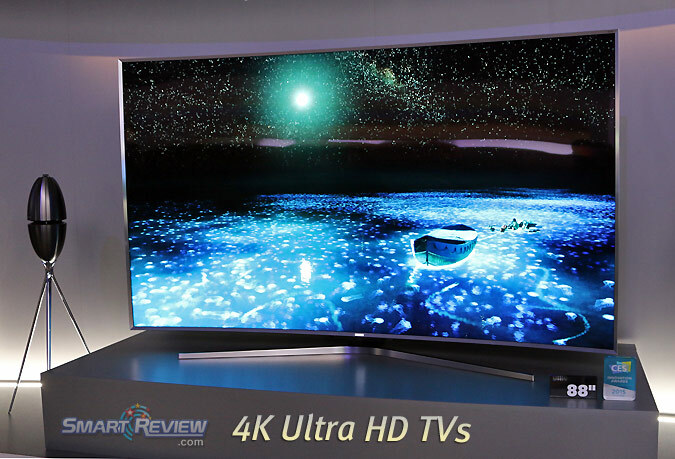 4K TVs give you a resolution of 3840 × 2160 or over 8 megapixels verus only 2 megapixels for Full HD TVs. As with any new technology 4K content is sparse, but will improve over time. The high end TVs have Quantum Dots (Nano Crystal) technology for a broader color spectrum, and deeper blacks. These 4K Televisions can also upconvert Full HD content to 4K giving you a better picture for current programs available. SmartReview previewed these UHD TVs at the Consumer Electronics Show and the clarity almost looks like you are looking through a window. The best way to view these type of TVs is closeup as the pixels are much smaller than normal HD sets. When sitting closer, you will have a more immersive movie theater type experience. To take advantage of the higher resolution, these UHD TVs come as large as 88 inches. Prices have come down substantially, and 4K has now become the standard for TVs. Movie theaters now have Sony 4K Projectors installed, so you will be seeing about the same resolution as movie theaters in your home. These TVs are ideal for home theaters. The speakers on many of these 4K UHD TVs are far superior to normal HDTVs. Below is a comparison of the currently available 4K Ultra HD (UHD) TVs, with reviews, features, and prices. 4K HDR = The latest TVs have a new technology called HDR (High Dynamic Range). This technology is one of the biggest breakthroughs in screen technology. It will give a wider range of lights to darks, better shadow detail and more natural and brilliant colors. This technology is in most 4K TVs for 2018. This goes by different names, such as HDR Premium, HDR 1000, HDR Super, Dolby Vision, and 4K HDR. High end TVs do a better job at HDR, since their backlights can achieve higher brightness levels. Sony XBR X930D 4K Series and the LG B6 OLED 4K Series. These 4K TVs are at the top of their range in price, but the picture quality is outstanding. The new HDR features have greatly improved colors and details in the picture. We previewed these at CES. 4K Ultra HD (UHD) = 4K is the new standard in TVs. Ultra HD TVs have 8 megapixels of resolution, which is 4x the resolution of Full HD 1080p TVs currently on the market. This allows you to sit closer to the TVs as the pixels are smaller, and will give you a more immersive movie theater type of experience. Bluetooth® Audio = Bluetooth streaming audio allows you to use wireless Bluetooth enabled Headphones, Speakers, and Soundbars. 4K X-Reality PRO = This is Sony’s best image processor that is in its new 4K TVs. Sony has ten years experience in image processing for movie theaters. 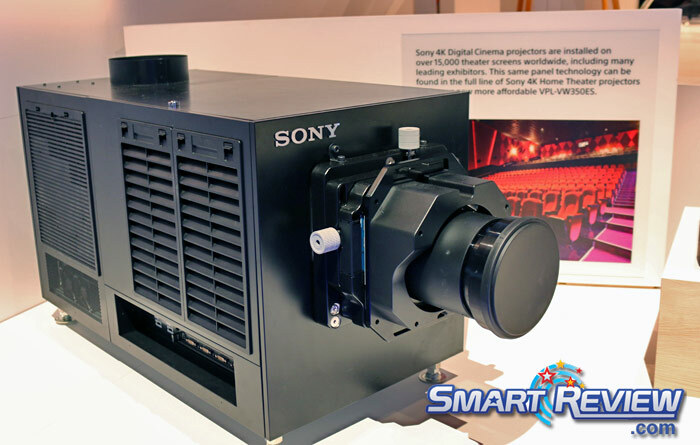 Sony’s 4K projectors are now installed in movie theaters worldwide. This technology will allow you to enhance even lower resolutions of sports, movies, and blu-ray to 4K. Sony is the leader in image processing. The top-rated 4K TVs have the best image processors. HEVC (H.265) codec = HEVC (H.265) is a new compression codec that is used to compress video. This new codec compresses twice as much data as previous codecs, so that 4K Ultra HD video can be sent over cable and the internet. HEVC (H.265) will allow 4K/60p playback for viewing 4K sports in the future. 4K/60p will also be available on future 4K camcorders. All 2015 4K TVs come standard with a HECV (H.265) decoder. Netflix 4K Content is currently streamed using this HEVC decoder. What native 4K Content is Available Today? = Currently, Youtube and Netflix are streaming 4K content to consumers. ESPN, Comcast Xfinity, Amazon, and others have announced that they too will have 4K content. 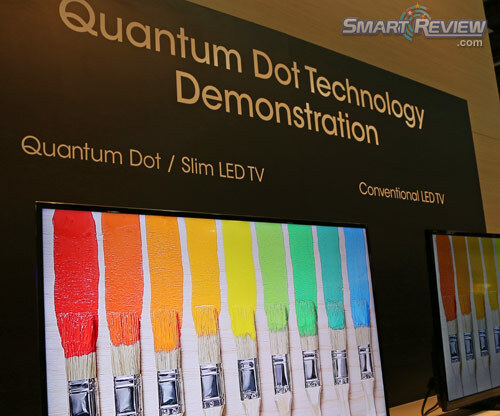 SUHD (nanocrystals) & Quantum Dots = Samsung has (Quantum Dots) technology that gives enhanced color range and brightness. Samsung calls its Quantum Dot TVs QLED. QLED TVs give higher dynamic range, and brightness than normal TVs. They also employ the Samsung Peak Illuminator Pro feature, for brighter whites, sharper details, higher dynamic range, and more vibrant colors. 802.11ac Wi-Fi® = For 2017-2018, more 4K TVs have upgraded to the latest WiFi wireless standards. The 802.11ac standard is Dual Band (2.4 and 5 GHz), and downward compatible with (a,b,g,n) networks. The newest ac standard allows for the fastest WiFi standard, which is important when streaming high quality 4K Ultra HD content. Currently Netflix and Amazon can stream 4K content using the latest HEVC (H.265) compression which is built into all 4K UHD TVs. Edge/Local Dimming = This combines the economy of an Edge Lit TV, with the advantages of local dimming. The picture quality, black levels, and contrast can be greatly enhanced with Local Dimming versus one that is only Edge Lit. This type of system can also eliminate or reduce halo effects, clouding, and light bleeding. Samsung calls their dimming technology Micro Dimming, while LG uses the term LED Plus. Full Array Local Dimming LED TV = An LED TV that is illuminated from the rear by an array of LED lights. These lights can be dimmed or turned off to give maximum contrast and picture quality. This type is superior to an edge lit dimming LED TV. These are hard to find, and much more expensive than the other types. HDMI® 2.0 Support = HDMI 2.0 is the next generation of HDMI which will provide higher framerates for 4K Ultra HD content, more audio channels, and Full 4K 3D. All 2015 models come standard with HDMI 2.0 installed. Dual Core/Quad Core/Octa Core Processor = Some recent TVs now have Two processors instead of one. This will greatly increase the functionality and speed of Smart TVs, and internet connectivity. All of Samsung’s 2015 4K Series come with Quad Core Processors (4 processors), and their flagship curved JS9000 4K Series models comes with an Octa-Core Processor (Eight Processors), as well as the JS9500 Series. TRILUMINOS display = Sony’s Triluminous display was designed to give you a wider range of colors and more realistic skin tones than normal displays. This technology is included on the top-rated Sony 4K TVs. This is Sony’s version of quantum dots. Mastered in 4K Blu-ray Discs = To accomodate the new 4K TVs, new blu-ray discs have been introduced that were mastered in 4K to give you the best picture on your 4K TV from a blu-ray disc. They are recorded with higher bit rates for better picture quality. These discs can be played by blu-ray players and Playstation 3 and 4 players onto your 4K Television. Dynamic Range = This is a really important newly introduced feature that transcends screen resolution. This technology dramatically improves dynamic range, brighter whites and deeper blacks, contrast and makes the colors really pop. We have seen this on the several high end TVs, and it produces an outstanding picture, the best we have seen on a LED TV. Dolby Vision is another upcoming technology that also improves dynamic range (which we saw a dramatic demonstration at CES). We believe these are important technologies that will soon be seen in more upcoming TVs. Samsung’s entire SUHD series are HDR-capable, using its Peak Illuminator Pro feature. LED TV = Instead of a conventional fluorescent backlight, these HDTVs use LED lights for backlighting. This dramatically improves picture contrast, colors, and overall picture. LED TVs also use about 40% less electricity. Edge Lit LED TV = An LED TV that is illuminated from the side or edges by an array of LED lights. Some of the latest Edge lit sets can achieve local dimming with the latest technology. Wi-Fi Direct™ = A feature that allows you to wirelessly transfer content to your TV directly from a compatible device (smartphone or tablet) without a Wi-Fi network. Dolby Vision / High Dynamic Range = These refer to increased dynamic range (brights to darks). Sony’s technology is called X-tended Dynamic Range. Samsung’s SUHD line has high dynamic range. Some manufacturers use Dolby Vison. 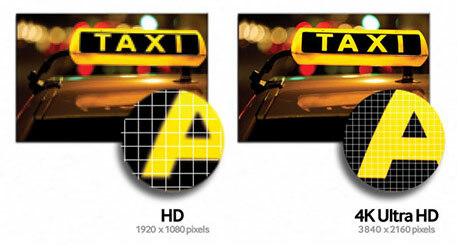 This kind of technology can make a dramatic difference in picture quality. This is usually only seen in the top 4K TVs. UHD = Ultra High Definition, or 4K. IPS Panel = An IPS Panel gives you a wider viewing angle without losing contrast than standard panels. 120Hz = 120Hz anti blur technology. Eliminates blur on LCD TVs during high action sports and movies. HDMI = HDMI inputs allow you to connect devices to your HDTV such as DVD and Blu-ray players and game consoles. HDMI 2.0 is the latest 4K Television standard, which increases bandwidth to 18gbps, allowing higher framerates, more audio channels, Full resolution 4K 3D. 3D Ready TVs = A 3D Ready TV is one that has a transmitter built-in to communicate with 3D glasses. To create the 3D effect, one lens will be opaque (black) while the other is clear. This is done hundreds of times per second which is imperceptible to the human eye, but it creates the illusion of 3D. Most manufacturers have discontinued making 3D TVs.